February 9, 2013 (ADDIS ABABA) - An international press freedom watchdog has denounced an Ethiopian court hearing after a judge on Friday renewed charges against a journalist who is facing multiple charges in connection to articles he published prior to the death of former prime minister Meles Zenawi last year. Temesghen Desalegn, former chief editor of Feteh was arrested on 1 August, a few days after Ethiopian authorities closed the weekly newspaper and blocked the distribution of some 30,000 printed copies that had details on the health of the deceased premier. Temesghen now faces charges on three counts: spreading false reports, defaming the government, and “outrages against the constitution”. The charges against Temesghen were suspended without explanation in August, but prosecutors refiled on 12 December. A judge in the federal high court in the capital Addis Ababa revived the three charges against Temesghen and one against the general manager of the paper’s publishing company, Mastewal. The New York-based Committee to Protect Journalists (CPJ) described Friday’s events as a “politicised court hearing designed to censor one of the few critical voices left in the country”. Government spokesman Shimeles Kemal said the charges had been renewed based on further incriminating evidence. He gave no other details but CPJ’s East Africa consultant, Tom Rhodes, said: “Authorities have not provided any new evidence to support the revival of these charges”. 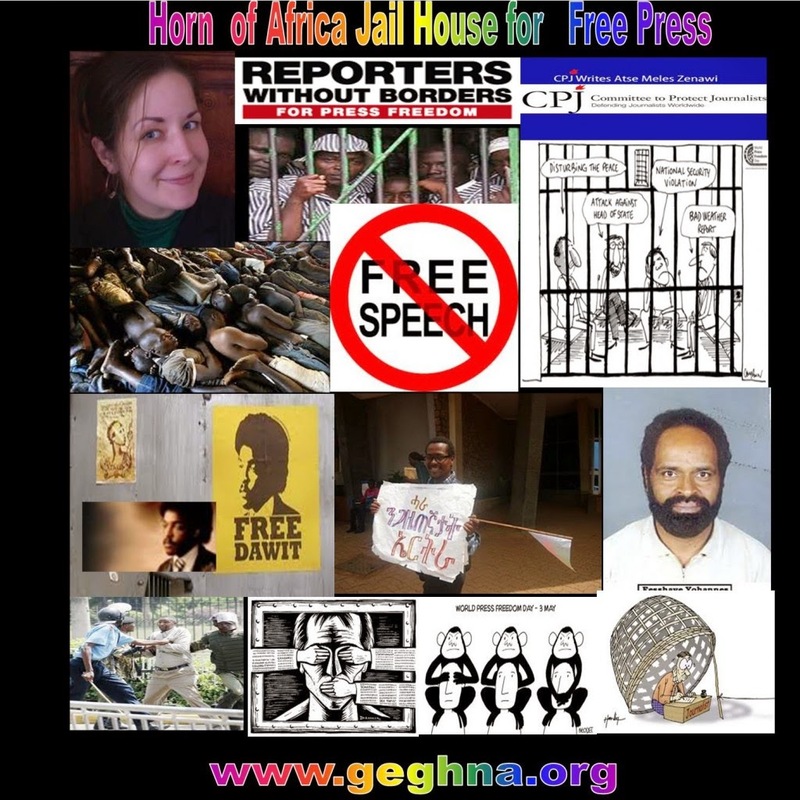 Ethiopia, a close ally of the United States, has been repeatedly criticised by international human rights groups for introducing press and anti-terrorism legislation to punish critical journalists and opposition politicians on the pretext of the broadly defined laws. The Ethiopian government, however, denies allegations it is targeting critical journalists because of their reporting or affiliations with political groups. With seven journalists behind bars, Ethiopia is the second-leading jailer of journalists in Africa after neighbouring Eritrea, which has jailed at least 30 journalists, according to CPJ. Some 79 Ethiopian journalists, CPJ says, have fled the country since 2001. According to the 2013 World Press Freedom Index report produced by Reporters Without Borders, Ethiopia dropped to 137th position in 2012 down from 127th the previous year. A local journalist, who refused to be named, told Sudan Tribune that the growing crackdown against the media and the tightened laws on press has created a climate of fear among the country’s press. “A couple of my friends have fled into exile in fear of reprisal as a result of writing critical articles,” the journalist said. He added: “After the death of the prime minister we hoped the new post-Meles Zenawi administration would relatively improve the free press, however, this is not happening and the freedom of speech is rather on the verge of fading”.